This is the ultimate transition pack! 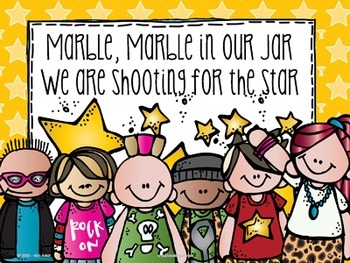 It contains activities that will help you manage all of those transition times as well as general classroom procedures. The first part of this pack is designed to help with those day to day transition times that can often be difficult and exhausting! We all get tired of asking kids to behave, so…..instead here are some fun games that will help you get the job done! While one set has catch phrases and another has a "happy rock" sign, the other 4 sections include multiple versions of the same game. That way you can change the clip art throughout the year to keep it fresh and exciting. 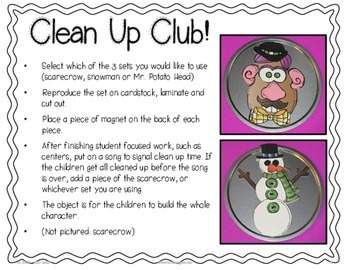 There are transition activities for clean-up time, tattling, group work time, and target behaviors. 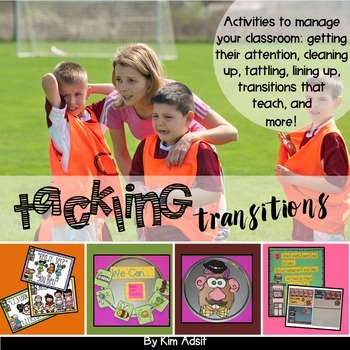 The second part of this pack is designed to give you some activities that you can use as transitions from one activity to another. 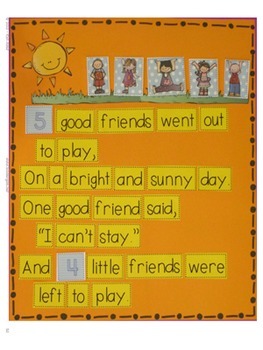 There are 7 interactive charts, 5 flip books, 1 cookie sheet activity, and 3 folder songs. There are seasonal selections so that you will have a variety to use throughout the year. The words to each song or poem are also included in a reproducible format so that you can use it in your poetry journal. The common core standards are included as well. Priced individually this pack would be $45! (c) 2013 - Kim Adsit. Permission is granted to original purchasers to reproduce material as designated only for their own classroom use. No other part of this work may be reproduced in any form or by any electronic or mechanical means including information storage and retrieval systems without permission in writing from the publisher, except by a reviewer, who may quote brief passages in a review.